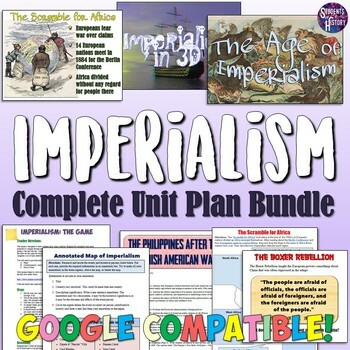 This fantastic Imperialism complete unit on includes almost 40 wonderful interactive resources to teach about the Age of Imperialism with new lesson plans for every day of the unit! 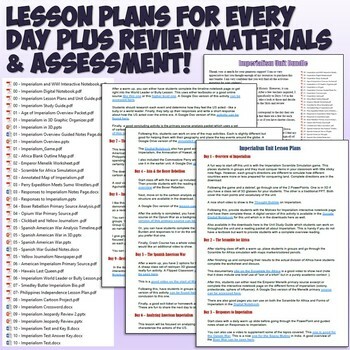 This is an amazing unit, primarily designed for World History, but with additional lesson plans and resources included for US History as well! Every resource is visually-engaging, aligned to state and Common Core Standards, and has been successfully been used in diverse classes. ⭐ Imperialism Game: Scramble and Conquer! 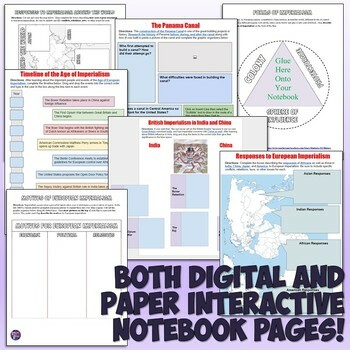 PLUS - this download also includes a detailed study guide, mapping activity, review games, 2 options for assessments, and more! 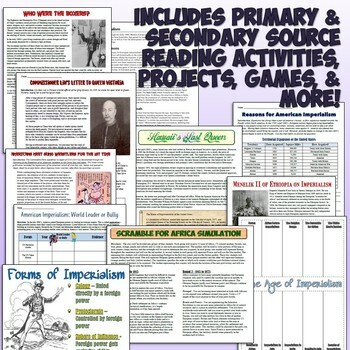 In total, you are getting close to 40 fantastic resources to make for an excellent unit on Imperialism with everything aspect completely planned out! Best of all, the included lesson plans ensure that you know exactly how to use veery resource no matter if you're teaching World or US History! They include links to relevant videos for each day, Google Docs, online resources, and more! Please "Like" my page on Facebook for updates, giveaways, links and more!